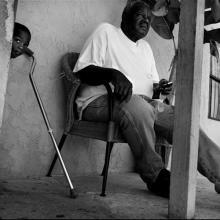 This image, along with many of your others, are lovely from this project. Can you tell us some of the backstory? 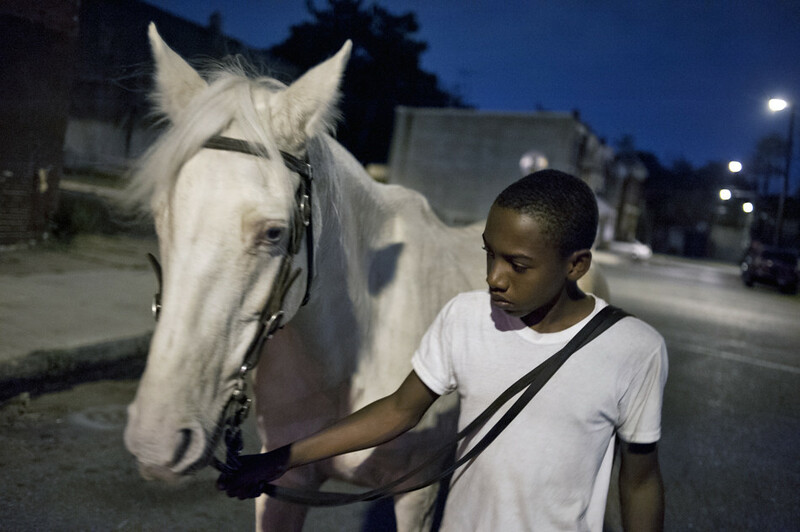 The picture of the young man and the horse that rears up is part of my project “Don´t fence me in." 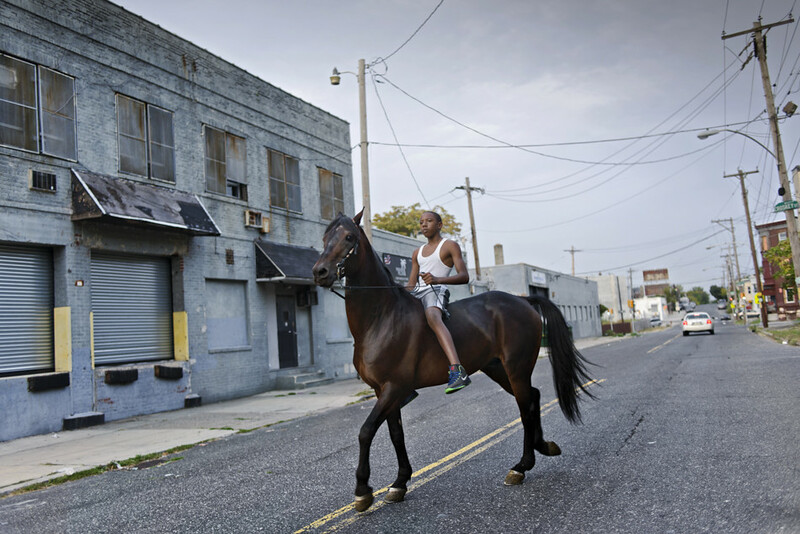 It´s a story about the African American Urban Horsemen in Philadelphia. 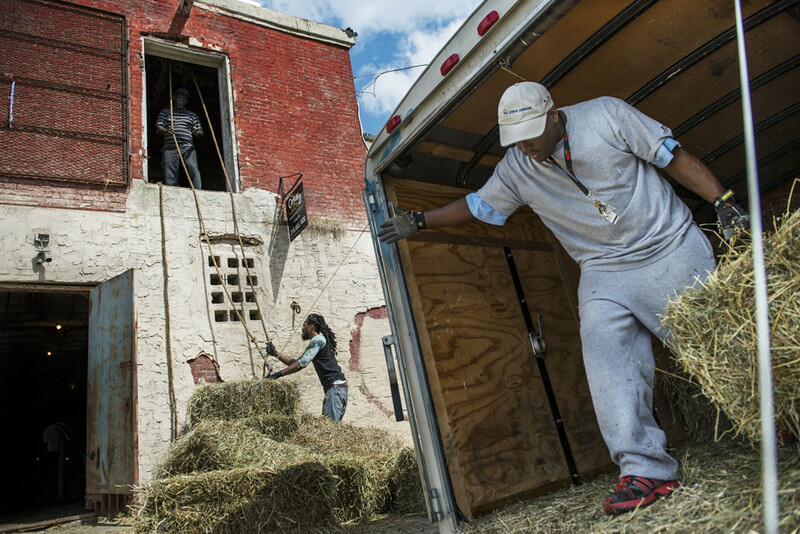 I mainly focused on the stables of Fletcher Street in North Philadelphia because of their long history. 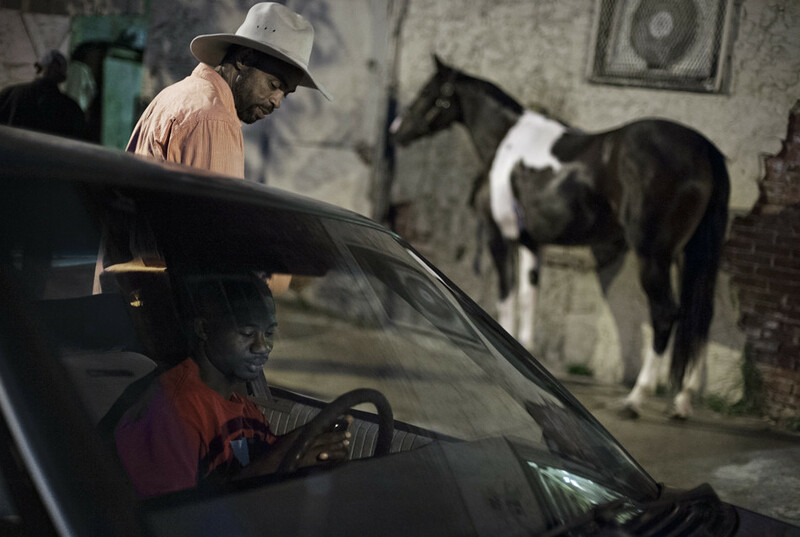 It´s a place where people meet to be around horse lovers, and it has become a safe harbor in the middle of a neighborhood that is struggling with unemployment, drugs, shootings and homicides. 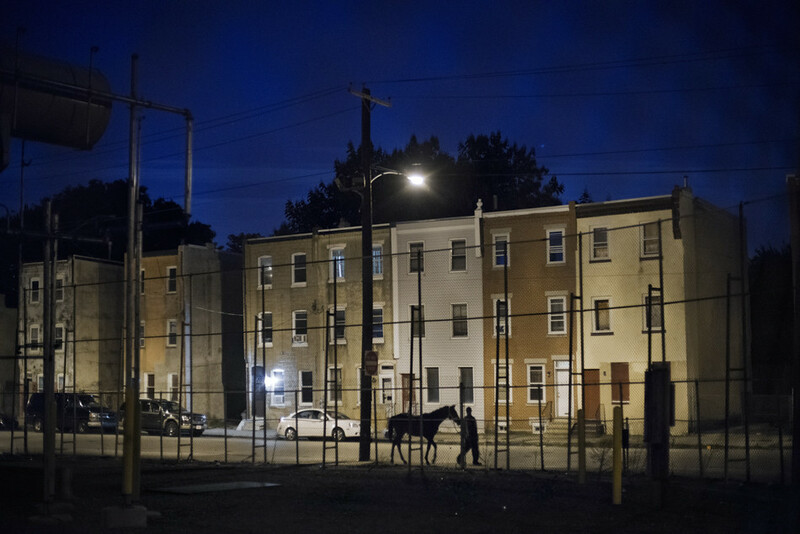 What sets Fletcher Street apart from other urban stables in Philadelphia is that it is known for being a rough place. It´s a male-dominated, testosterone-driven environment. I´ve always been a horse girl. I started riding at the age of 5 and when I was 11 my parents bought me a horse. My bond with horses stuck with me ever since. Therefore, when I saw a documentary on the Fletcher Street Horse Stables on TV (arte channel) in October 2012 I was immediately fascinated. What I saw in this documentary was so contradictory to what I had previously associated with horses. For me, horses were connected to rural landscapes. I needed a reason to go there myself and the camera gave me the opportunity to do so. Therefore, I decided to do a documentary on Fletcher Street for my graduation project for the University of Applied Sciences and Arts in Hanover, Germany. How much time did you spend on this body of work, and how do you think that impacted your access to the people you documented? I went to Philadelphia in fall 2013 for 5 weeks, and I thought that this would be plenty of time to do a reportage. Soon I realized that my expectations were too naive. I needed time to understand what was going on and to build relationships with the people involved. I found myself in a different culture. I did not understand the interpersonal relations and it was hard for me to understand the guys' behavior. The horsemen on Fletcher Street were very skeptical about me showing up there one day with my camera. They had different reasons for this. Some thought I was from Animal Protection, and that I came to check the horses´s and stable´s condition. Others were convinced that I must be working for a big media company, because they could not believe that I traveled all the way from Europe to Philly on my own expenses, just to photograph the horse stables. They thought that I was going to make a lot of money with their story and they would be left empty handed. At the beginning, there was a lot of mistrust. Some did not speak to me, and I was not allowed inside the stables. But I kept on going back everyday. Luckily, because I was a horse lover myself, we had a common connection and something to talk about. To warm up I took pictures of them and their horses and gave them prints. That was the icebreaker and soon everybody wanted to be photographed. When the end of my first trip approached I realized that I was not even half way through telling their story, and I decided to come back in spring 2014 for two months. I was fortunate to stay that long because I was awarded a grant from the Centre National de l´ Audiovisuel (CNA) in Luxembourg which covered my travel and accommodations costs. With this footage I produced the multimedia reportage “Don´t fence me in." Right at the beginning of my second stay, the relationships proved to be better than they had a year and a half ago. Coming back showed them that I truly cared. It took a long time to build up relationships, but now when I visit some even say that I am one of them. In the beginning the problem was that the horsemen were very skeptical, which improved during the course of time. Another problem that I encountered was that some of the horsemen often changed their mood. For example, a person who would usually be very talkative one day, might not even say hello to me the next. Also, they were constantly unreliable with appointments. I often waited a long time on people I was supposed to meet until they showed up. Sometimes they did not show up at all. Of course, this put a lot of pressure on me during my first visit, because I just had a short time in Philly. All of this made me very insecure and I had a lot of doubts. I thought I must be getting on their nerves and that I was not welcome. Talking about this to people from Philly that are not part of the horse community helped me overcome these feelings and insecurities. It made me realize that the horsemen probably had so many things going on in their lives that sometimes they could not care less about my photo project, and that their behavior towards me was not something to take personally. Another thing I changed in order to avoid having to wait on the horsemen was that I stopped going to Fletcher Street only on the days that I had an appointment. Instead, I decided it would be better to just go on a whim and see what would happen. This had a positive effect, because I had to let go of my preconceived ideas of what I wanted to photograph and go with the flow. However, it also led to my next problem. Often, I photographed a bit here and a bit there and would join one person one day and someone else another day. Because of this, after only a few weeks I ended up with 7 interviews and different approaches to the topic, and I could not decide which way go with my project. I kept on collecting. Only three weeks before my graduation I decided, with the help of my mentor Uwe Martin, how the multimedia story should be. I would have one person provide an overall understanding of the community and two characters, that are antagonists, with whom the viewer can built up a relation and follow them through the community. 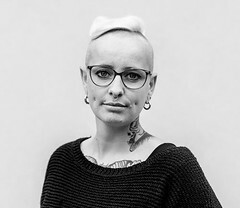 Looking back, I would say that my troubles during the beginning of the project were connected to the individuals I was working with. However, I eventually found that my biggest problem was the overwhelming amount of ways that I felt I could tell the story of Fletcher Street, and deciding how to best portray the stable's story. What surprised me the most was not finding the story I expected to when I began my research. 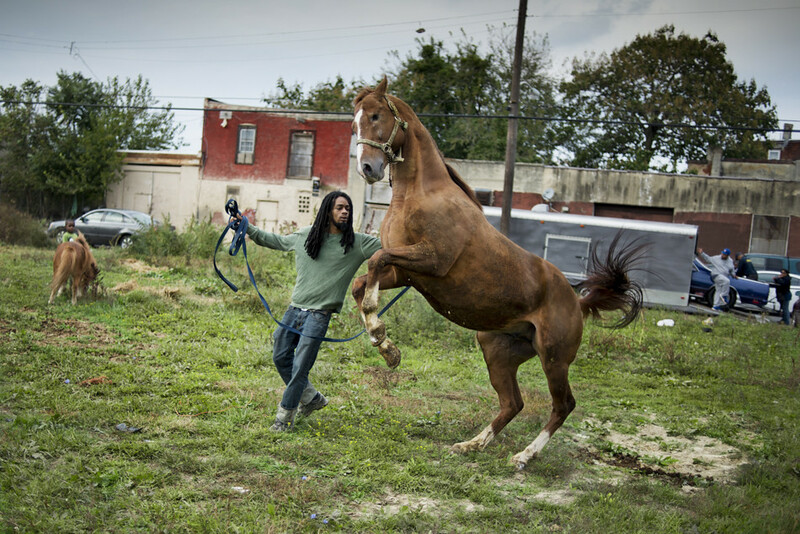 Initially, I went to Philadelphia to tell the story of an older man, Mr. Ferrell, who uses horses as an outlet for kids in order to help keep them from becoming involved in crime. However, when I arrived he did not have his program running. He allowed me to photograph him and his horses. This is where I met Mil who was helping Mr. Ferrell and his grandson take care of the horses. This stable was just around the corner from Fletcher Street Stables and they took their horses over there to be around the crowd. I was so surprised to see the atmosphere of Fletcher Street. It was in complete contradiction to my little-girly pony world in which I grew up. It was not an equestrian program with riding lessons and horse cuddling. Instead I experienced a testosterone overdose full of rough and vulgar behavior between the men. And it surprised me that even though Fletcher Street seemed so different I realized, the impact of the horses on their owners is the same. Horses can heal troubled souls. Which is something I have personally experienced. During the project I often felt over challenged, especially during my first visit. I was not familiar with the culture and the background. I took it personally when the horsemen did not keep up with our appointments. It made me feel like I was not welcomed. A couple of times I was very close to giving up. I just sat in my apartment and stared at the walls. But I forced myself to go back to Fletcher Street. I told myself that even if I would not proceed with the story, I would at least be around horses. That is the thing that always pulled me back up when my mood was down. It turned out that the days I felt the worst, I took the best pictures. I learned to stop panicking from not having a clear vision on how to proceed. I learned to motivate myself, get rid of preconceived ideas, and see every day as a new opportunity to not give up. At Fletcher Street I met a man named Alonzo He did not want to be photographed, but he told me a lot about African American Culture and what it meant to live in an unprivileged environment. This was something I could barely relate to because I grew up in a rather wealthy and safe environment. 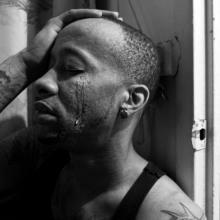 Alonzo explained me a lot about people´s fears, worries and struggles. Getting insight on the background of the horsemen helped me understand that the horses have a big importance in their lives. The horses bring peace to troubled souls, and they give the men an opportunity to get away from everything that is going on in their lives. The men ride to feel free and strong. During my first visit in Philly Mil was taking care of Mr Ferrell´s stallion Dusty. When Dusty gets in visual contact with other horses he gets all excited, rears up and screams. A lot of people would be afraid to walk a horse like him but Mil was not. He is fearless and courageous. For me, it felt like he gets the thrill that he used to get from his involvement in criminal activities from taking care of Dusty, and this is something I wanted to represent in the picture. Before taking the picture of Mil and Dusty, I remembered that I was photographing the young boy and the pony that you can see in the background of the image. Then I realized that Mil had left Fletcher Street. I asked the other horsemen if Mil had left and they told me that he was about to exercise Dusty. As soon as I had the idea of showing Mil interact with Dusty, I ran around the corner to Mr Ferrell´s stable. I was almost too late. Mil was already coming out of the barn with Dusty who was jumping around. I felt that I should take an action picture in order to be closer to Dusty and Mil. I imagined that the feeling of a dominant horse and a fearless handler transports best when my camera´s position is low, and I tried to frame Mil in-between the horses legs that went far up in the air. I walked next to them and tried to build the image as I imagined. At one moment I took the camera away from my eyes and I had a scare. Looking through a 35mm lens I was not aware of how close I was to the horse´s kicking hoofs. So I stepped back a bit as we entered the lot. Everything happened so fast and I was totally focused on framing Mil with the horse´s legs and body. It worked one time but then I cut off the horses ear and I was a bit disappointed. Going through the RAWs later on I saw this image. I suddenly understood that I was not able to get the picture I had imagined because it was my idea of what their relationship should be, instead of what it actually was. I wanted a dangerous horse and a tough guy holding him. However, the image that I captured better illuminates Mil's person. He is not afraid and does not let the horse cause him stress. He remains calm and confident. Their interaction looks like a dance. When I was enrolled at a photojournalism school, I was taught to have a “Motivliste.” That means to know what pictures I would need to tell that particular story, and look out for those moments. This approach can be helpful, especially at the beginning when you learn how to tell a story through images. This is how I approached the Urban Horsemen topic. I did a lot of research and had my set list of preconceived images. However, when I got there, what I had imagined did not play out. My frustration grew because I thought I was not getting the right pictures. I think that when you cover a story like this it is important to let go of preconceived images. Get rid of the ideas you have about somebody or something. It´s not your story or what you imagine it to be but the individuals' you photograph. Be open, explore, get a feeling for the atmosphere and focus on what reveals itself in front of you. And most importantly, be respectful and grateful - you are entering someone else´s life. Ann Sophie Lindström is a freelance photographer and filmmaker, born in 1984 in Luxembourg, Europe. She studied photojournalism in Hanover, Germany and currently is a mentee of the Bombay Flying Club, an international storytelling agency deeply rooted in photojournalism. »Don´t fence me in« was awarded Gold Medal (Multimedia Project) at CPOY in 2014 and 2d place (Motion Feature Story) at POYi in the same year.